Add a contemporary twist to your living room with a modern swivel love seat and go wild with floral, prints and stripes in an array of shades. With over 70 combinations of fabrics and colours there’s sure to be a favourite. Whether you’re looking for the lushness of velveteen and chenille, the natural feel of weave and hopsack or love luxurious leather; the Ellis armchairs from Marks and Spencer combine comfort and style. The latest take on love seats have a fun and versatile element to them with their circular shapely design and metal swivel base. Let the Ellis chair surround you in comfort as you snuggle up in the roomy seat to relax, read or watch TV. You’ll have the best seat in the house and one everyone else will want to try out. Although a popular choice for the living room the Ellis armchair could also work in a larger bedroom too. The pastel shades of mint green, blue, cream and coral plus the fabulous textures will add a special touch to any room. 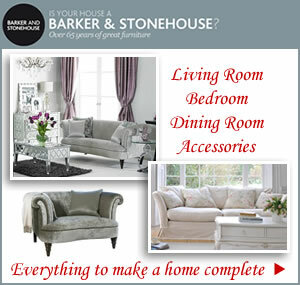 Choosing an occasional chair is one way of changing the look and feel of a room without having to change too much else. With the dazzling mix of colour combinations available you can introduce a vibrant focal point to add impact to existing decor or keep it toned down with similar hues. 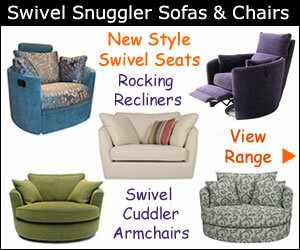 Today the choice is endless when looking for a comfy chair for the living room, we have enjoyed recliners, rocking chairs, massage chairs and now can look forward to swivel chairs. 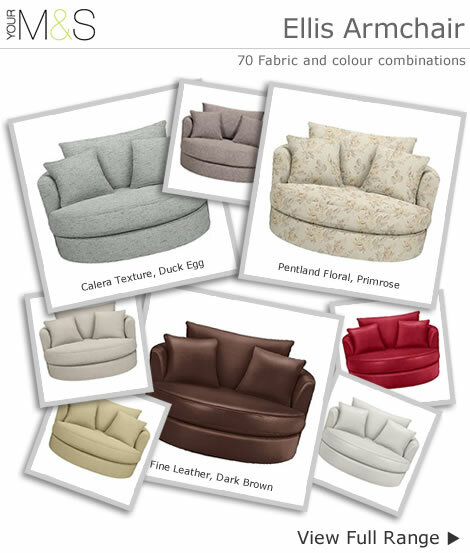 The Ellis armchair features seat cushions with shape-retaining foam with other cushions filled with polyester fibre. 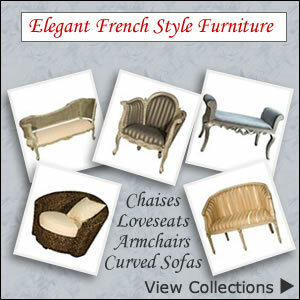 It is specially designed to maintain its shape and give superior comfort and support. The overall appearance is of a natural lived in look with the soft seat of the armchair relaxing further with use.